I wanted to take a moment and talk about a company with a product that my wife and I love. Memorial Stones from Old World Stones. The stone above was made for Bailey our little pitty friend. Shortly after we got the news of her passing we decided we wanted to get her mom Denise one to remember her by. This is a granite heart shaped stone and is the first one of these we have gotten. We figured since Bailey was a girl and always dressed in pink that a heart shaped stone would be a good fit and it had some pinkish colors in it. We were able to meet up with Bailey's mom and give her this stone and she was very happy to have it and we know she will cherish it for many years to come. 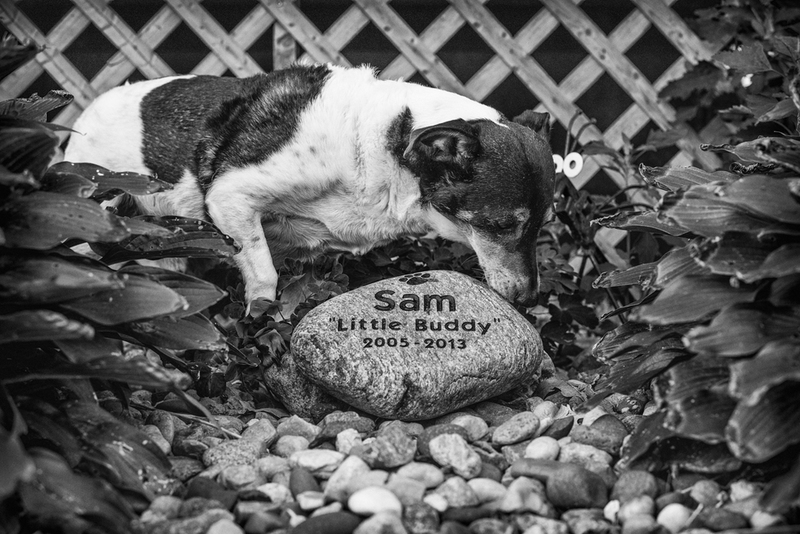 For our little buddy Sam we went for the river rock version and as you can see it sits on display in front of our home. The photo above is Sam's brother Pete paying respect. Old World Stone does a great job engraving the stones all 3 that we have gotten look very well done. Their turn around time is very quick in our experience with Bailey's stone we thought it would take a couple weeks or a little more because of the holiday (thats what their site says it will take) but we got hers in a week and it might of been less like we ordered it on a Saturday and we had it on a Friday. 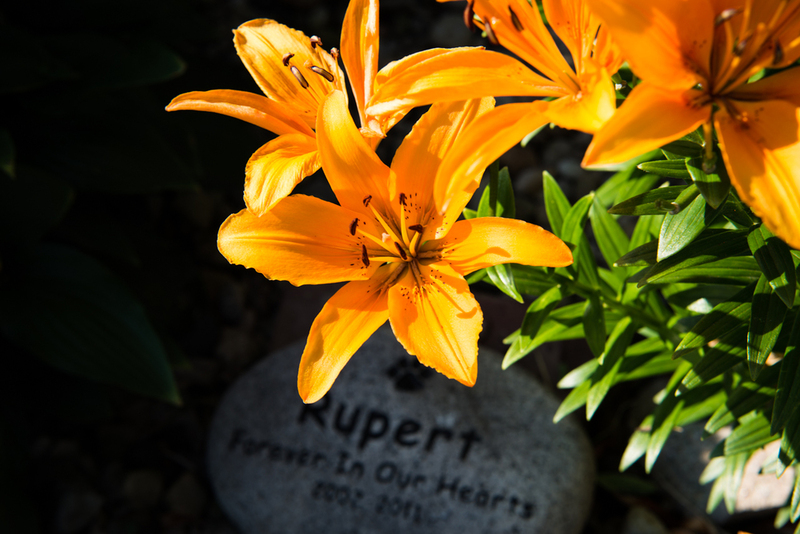 This is the first stone we ordered for Rupert. This was the best photo I could find of it and it's in the snow right now sooo. But thats another nice thing since it's a rock so the weather don't bother it. Rupert's rock has been out side for a few years now and the lettering looks just like it did when we got it. I hope you find this post useful and maybe it will be a reminder for somebody when their loved ones pass over to the Rainbow Bridge.